If we were to ask the people who attend our martial arts classes why they wanted to start learning this discipline, self-defence would be pretty high up the list of answers. It’s easy to understand why. Although most of us will go through life never having to defend ourselves against an attacker, you simply never know if you might be unlucky. It’s better to know how to defend your wellbeing and safety than to need it and not have it, wouldn’t you say? 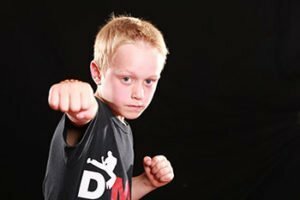 But the common theme we hear among those who do start learning martial arts is the number of other perks they get out of their classes as well. Some of these often come as a surprise to them… but they do tend to be the reasons why many people stay and keep on coming to classes week after week. Think about better posture, better fitness levels and even better concentration, for example. Martial arts teach the mind how to improve as well as the body, so it really is a whole-body experience. That sounds corny, but it’s true. If you were to speak to some of our class attendees, you’d hear much the same stories come from each of them. They may have very different reasons for coming to us in the first place, but they all stay because of the huge number of benefits these classes provide. Martial arts training may not be the first form of exercise most people think of taking up. Perhaps that’s why so many people associate it with self-defence above all else. However, the all-round benefits and features of this sort of training appeal to all kinds of people. That’s why the self-defence aspect does become an added bonus, rather than the main reason you’re there.